Mahra Al Dhahouri, a 33-year-old woman from the United Arab Emirates, suffers from autoimmune hepatitis, a disease in which the body’s own immune system attacks the liver and causes inflammation. Her disease progressed to the point that she needed a liver transplant. However, she could not undergo surgery as she could not find a suitable donor that matched her blood type. At South Korea’s Seoul National University Hospital, the patient found a solution: It was possible for her to receive a liver transplant from a donor with a differing blood type, her brother-in-law. Organ transplants involving unmatched blood groups naturally trigger immune reactions in a recipient’s body, causing complications. But such incompatibility issues can be overcome by using new medication to kill antibodies that produce immune cells, as well as plasmapheresis, a technique to separate out and remove problematic blood plasma, SNUH said. Moreover, the laparoscopic operation would involve only a few incisions, reducing scar size and recovery time for both the patient and donor. 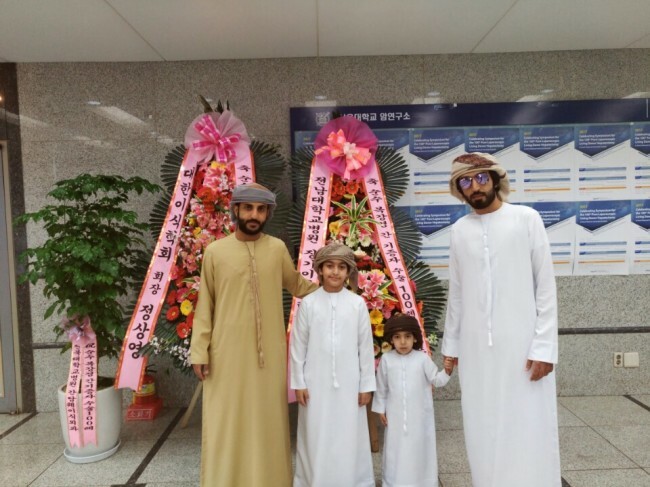 The Al Dhahouri family proceeded with the surgery last month. Their experiences were shared Thursday at a ceremony in Seoul to mark a new record set by SNUH which has become the first hospital worldwide to have successfully performed such types of operations more than 100 times. SNUH considers itself a world leader in pure laparoscopic living donor hepatectomy -- a minimally-invasive procedure in which a portion of a healthy person’s liver is removed so it can be transplanted to a patient suffering from end-stage liver disease. It is a technique that involves making multiple 0.5-1.5 centimeter incisions in the stomach through which cameras and equipment are inserted in the body. Part of the liver is then removed and replaced via a small incision made underneath the bellybutton. Despite the advantages, many hospitals choose to perform traditional open surgeries as laparoscopic hepatectomy operations are complex procedures that require high-level surgical expertise, according to SNUH. SNUH, however, performs a majority of its liver transplant surgeries using the laparoscopic method to ease patients’ physical and psychological burdens, it said. “Despite the complexities, we will continue to choose the most optimal surgical methods to benefit our patients,” said Lee Kwang-woong, executive director of SNUH’s International Healthcare Center.